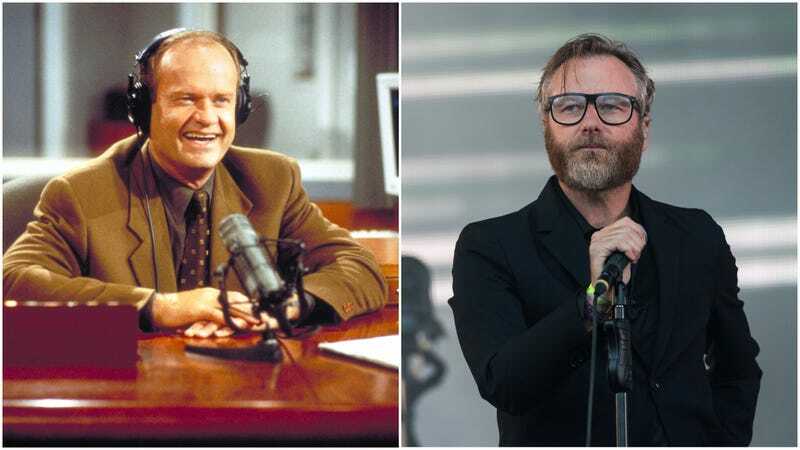 Anyone who’s watched Frasier—which, let’s be honest, is all of you—knows that, in addition to starring, Kelsey Grammar also lent his formidable voice to the show’s toe-tapping theme song, “Tossed Salads And Scrambled Eggs.” It’s a perfect fit, too, with Grammar’s jocular delivery forecasting the show’s perfect brand of lighthearted sophistication. Set that in contrast with the, let’s say dour, sophistication of The National, a band that’s built a massive fan base with songs that sound like downpours. Still, sonic gulfs be damned, the two make surprisingly pleasant bedfellows. Bobby Lord, a Gimlet podcast engineer, proved as much on Tuesday when he dropped a cover of “Tossed Salads and Scrambled Eggs” that hits all the beats of the band, from Matt Berninger’s syrupy baritone to the quietly urgent guitars that slowly ballon into a thundering swell of catharsis. The blues, however, are still a-callin’.